Best Western Hotel New York is a charming 3-star hotel in the heart of Nice. It welcomes you all year round to one of the most beautiful regions in France, the French Riviera. 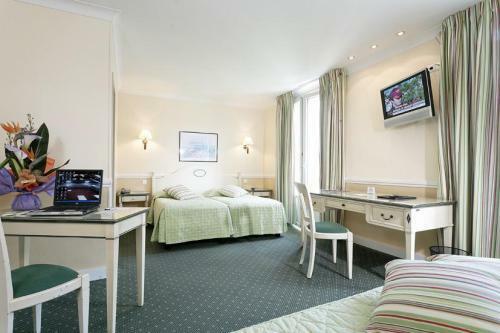 This elegant hotel with its fa?ade "Belle epoque", lies near the main attractions, tourist sites, business centres and public transport network in Nice. All the rooms are soundproofed, equipped with air-conditioning, TV LCD, WIFI, telephone and privat bathroom with hairdryer.